There are many, many reasons we're obsessed with Susan Greenleaf's stunning San Francisco home featured in the May 2014 issue of Lonny. 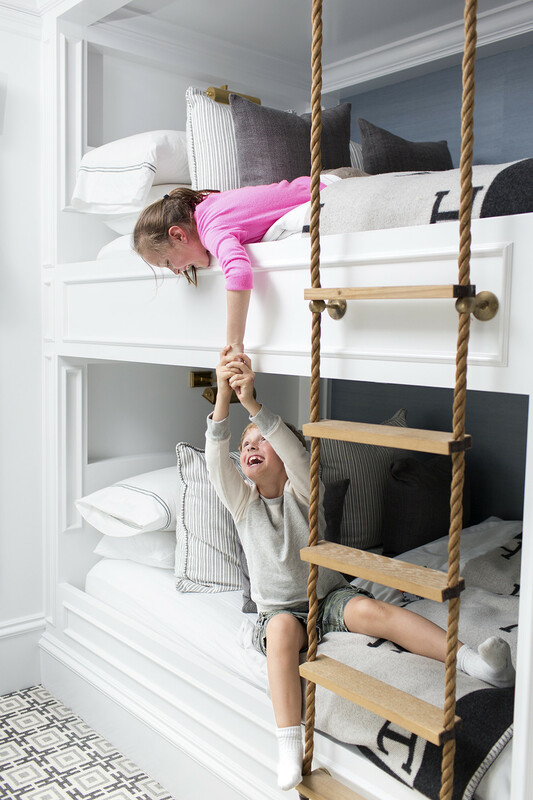 Here's one of them: the built-in bunk beds, complete with ladder, that she designed for son Hansen's bedroom. "I wanted a ladder that brought in textural details," says Greenleaf, so she designed one using vintage rope she sourced at Big Daddy's Antiques in San Francisco, along with wood left over from the home's floorboards. The vintage brass bits were discovered at EM Hundley Hardware; Greenleaf's contractor put the ladder together and finished it with leather she found through the San Francisco Design Center. "Designing and fabricating that ladder took longer than building the house—or so it felt," Greenleaf admits. "But I'm very happy with the results."